During the book editing process the illustrations for each chapter also need to be adjusted. Some are discarded other added to the new pages. The logo also got a major update. Lost Valley Series vs Beyond the Cliff & Courage. 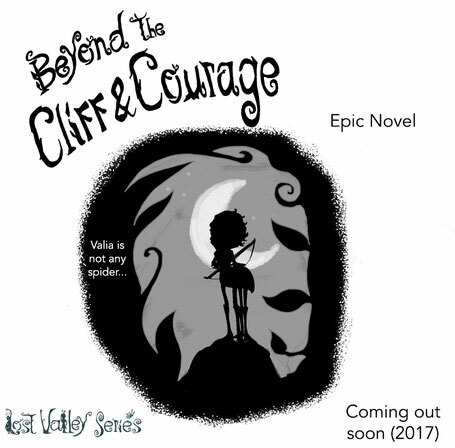 Beyond the Cliff & Courage will be a stand alone epic novel coming out soon (2017).